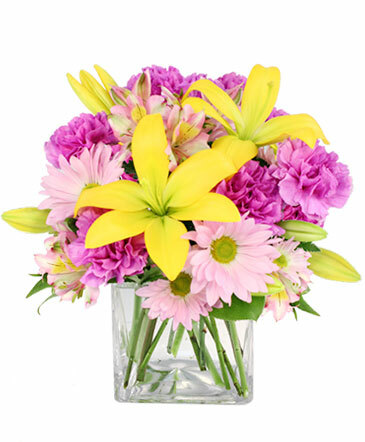 STIR AND SHAKE UP SOME FLOWER FUN. 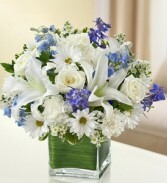 Stir and shake up some flower fun. 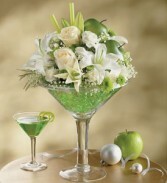 An over-sized martini glass is filled with white lilies, white roses, carnations and accented with a fresh green apple. The martini glass is 10 inches tall. 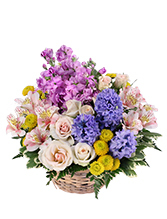 Fresh design is 18 inches high and 10 inches wide.